In the case that you only want to work with a single object (or you just want to test how VOSA works) you don't need to build a input file. You only need to specify the RA and DEC (in decimal degrees) of your objects. The object name and description are optional (if you leave any of them blank VOSA will fill them using the information in the other fields). 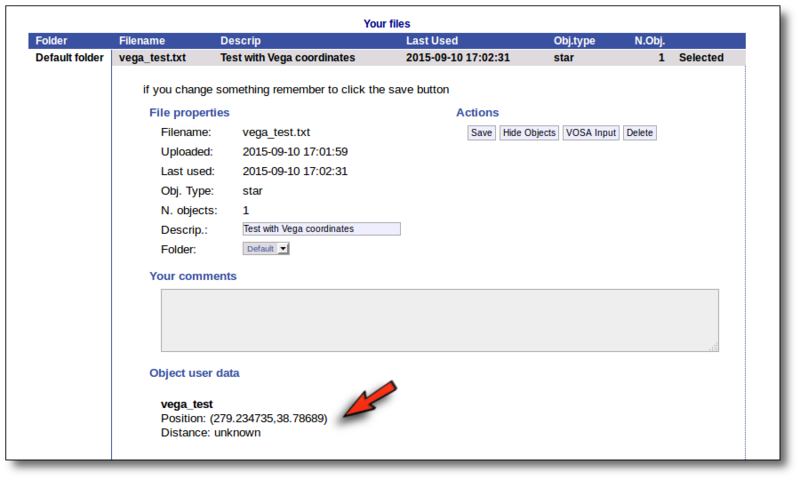 With those coordinates VOSA builds a very simple input file that is saved in your Default folder and you can then work with it, use VO catalogues to find out information or photometry for that object and then try to fit the observed SED with theoretical models. With this information VOSA will make a very simple "VOSA input file" and it will be loaded automatically. From then on, you will work with this file as with any other vosa file. Just remember that the only information that we have for this object now is its coordinates. 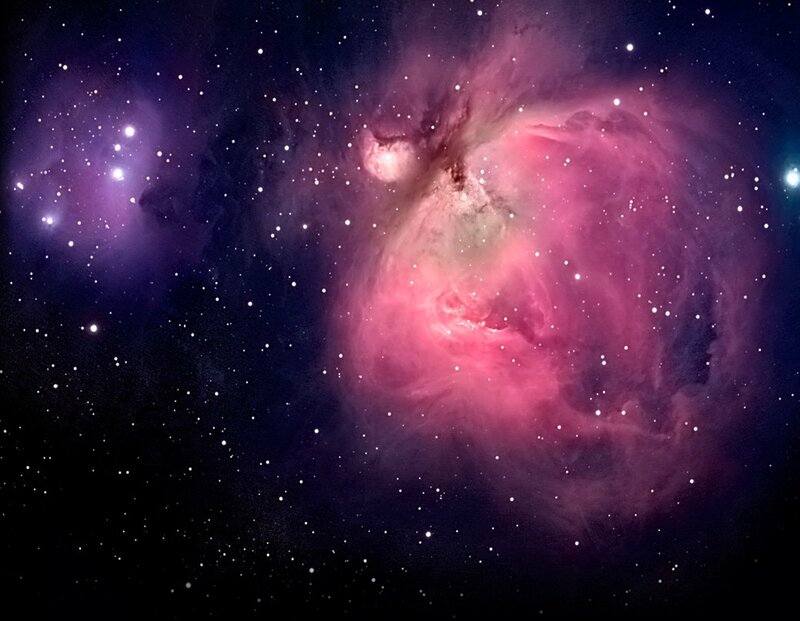 You will need, at least, to search for photometric data in VO catalogues using the "VO Phot." tab.